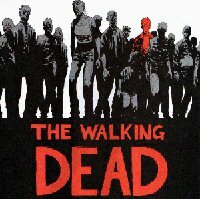 It’s been years since I read the graphic novel series, The Walking Dead. I didn’t consider it the most original story at the time. There were more than a few cliches from the zombie genre, but the stories were good. It was a comic book series, not a movie or a TV show, and a very grownup one at that. So I gave the series big kudos. Now, AMC has brought us The Walking Dead miniseries to TV. And I thought AMC was for old folks still cursing Hollywood for making the talkies in color. Sometimes, it’s good to be proven wrong. Is AMC’s The Walking Dead good enough to watch? Or is it just another unnecessary interpretation of something cool that only puts everyone to sleep? 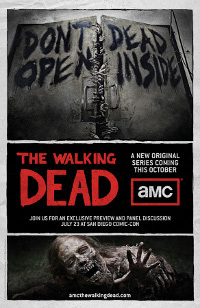 Judging by the first episode, The Walking Dead will keep your eyeballs glued to your TV. Like the graphic novel, The Walking Dead focuses on deputy sheriff Rick Grimes. I suspect that survival will be as big theme in the TV series as it was in the printed series, with an emphasis on how loss of our civilization changes people. Rick gets shot during a gun battle and wakes up after his surgery to find the world overrun with zombies. Disoriented, he wonders through the hospital to find a set of heavy double doors. Someone has changed them together and spray painted a message, “Do Not Open. The Walking Dead.” Then the doors jerk violently as a chorus of angry moans sends Rick scrambling to get away. Outside, he finds a parking lot full of abandoned military equipment and body bags. Then it gets kinda weird. I don’t want to spoil anything for you if you haven’t seen part one, so I’ll leave it at that for now. As usual, the good stuff gets the shortest reviews. Part two is on the way and surely worth a look. For anyone interested in zombie stories in general, here are a few links that might interest you as well. The Zombie Hunters online comic book. We’re Alive: A Zombie Podcast: A Story of Survival. Tagged AMC, comic books, end of the world, horror, movies, review, survival, tv, undead, zombies. Bookmark the permalink.